Over the course of the past year, the LinkedIn Sales Solutions Insights team has been working to understand how Social Selling Index (SSI) relates to career success. Social Selling Index is a measure of a sales professional’s activity on LinkedIn and is defined here. One 5,000 person survey and 120 hours of analyses later, we found three compelling insights that highlight the value of social selling that sales professionals are seeing. 1. High SSI sales professionals are 51% more likely to exceed their quota than low SSI sales professionals. In a 5,000-person survey, we asked how they performed against their number in Q3 and if they felt their quarter was successful on a scale of 1 – 5. Reps that “exceeded quota” were those that BOTH exceeded their number and felt their quarter was very successful. We then took their responses and then matched them with our behavioral data (i.e. their Social Selling Index) to discover that people who exceeded quota were also social selling. 2. Our own LinkedIn sales professionals with a high SSI are 3X more likely to go to club than any other rep.
Club is a distinction reserved for our top performers who exceed their annual sales quota. We analyzed our own LinkedIn sales reps who have a quota that began before January 1, 2013 across all global regions (North America, Europe, Australia and Asia-Pacific) and mapped their Social Selling Index. We found that those with a SSI above 90 were 3X more likely to go to club than any other sales rep. The graph below reveals the percentage of LinkedIn reps who attended Club among our three business lines (i.e. Marketing Solutions, Talent Solutions, Sales Solutions). Reps with a SSI above 90 were over three times more likely to make Club. 3. 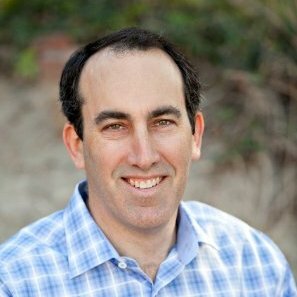 Directors with high SSI get promoted 17 months faster to VP than those with low SSI. 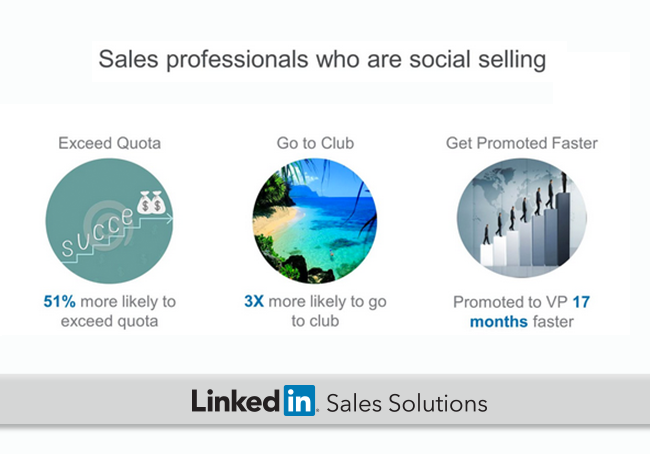 Data shows that if you want to get promoted, then start social selling. Social Selling means faster promotion and the difference between having a high SSI and a low SSI matters more at higher seniority. The graph below highlights the difference in promotion times. Directors who had a high SSI were promoted to VP 17 months faster. Managers were promoted to Director 14 months faster and individual contributors were promoted to Manager 10 months faster. We analyzed hundreds of thousands of LinkedIn profiles to better understand who was getting promoted. The relationship between SSI and promotion time was statistically significant meaning that the trend that we were seeing was important. Whether SSI is a leading or lagging indicator of success remains to be seen, but the correlation is clear.